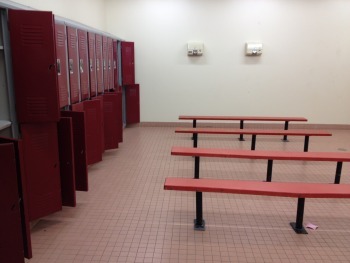 Proper locker room etiquette is all about your behavior in the locker room and how to avoid offending others. The locker room can be a place where people feel vulnerable and it is important to tread carefully. 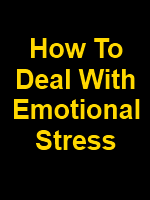 With those thoughts and feelings in mind, I put together these tips on your etiquette in the locker room to help you navigate this potential huge mine field. I know that there are people that feel that the locker room is a place where it is acceptable to be naked and there is nothing to be ashamed of. At a conceptual level I agree with that, however the challenge about that from a manners and etiquette point of view is that not everyone feels that way. Therefore, you could offend others and not even know it because they feel differently. I tend to be very conservative, and so these locker room etiquette ideas will be from a conservative point of view. I feel it is better to err on the side of caution than being too liberal. I believe it is important to cover up when possible. It really makes others uncomfortable when you run around naked. Covering up is not be embarrassed or ashamed. It is a sign of respect to others. That is why I do it. It is rude to stare at others. Even if they have been, umm - "well endowed", you should avoid staring or making a scene. Usually the people who want you to stare are those that think they have something to show off. I tend to not give them that kind of attention. When you are done taking a shower, towel off before coming back to the locker area. I hate it when people get water all over the floor and benches in the locker area. It gets on your clothes, and it also makes it hard to get your socks on without them sticking to you. Because of the potential awkwardness of the locker room, I really don't believe that it is a place to hang out. I highly recommend getting done and moving on as soon as possible. If you stick around, people may get the wrong impression of your intentions. That isn't really the impression you want them to have of you. Be an adult and mature. The locker room is known for its fair share of pranks like towel flipping, taking people's towels, and throwing people into the shower. All of these are really mean spirited and have no place for someone that is refined or sophisticated. I hope these simple tips on locker room etiquette will help make you, and others, feel more comfortable and confident.